I am geek, hear me code! Ha, wasn’t that horribly cheesy? Who cares though…. this is my blog and I’ll do what I want here. In fact, that’s really what being a geek is all about: finding those things that you really enjoy and embracing them despite all social convention. Actor/writer Simon Peg has a famous quote about being a geek/nerd that I have always loved (so much that I’ll include it here in image format rather than text. Obviously you noticed the title of this article includes the word “nerd.” It isn’t just going to be drooling about how cool it is to be a geek, or how much of an oxymoron that last statement truly is. I won’t go into my personal stance on how the term and very concept of “geek chic” needs to be eliminated from our society. Those are rants and discussions for another time. This particular article is one of a more severe nature and topic: is it better to be labeled as a geek or a nerd? Let’s start with the key differences between the two. An ‘individual’, i.e. a person who does not conform to society’s beliefs that all people should follow trends and do what their peers do. Often highly intelligent but socially rejected because of their obsession with a given subject, usually computers. Unfortunately, nerds seem to have problems breeding, to the detriment of mankind as a whole. If you were to go to the Urban Dictionary (or just about any other resource for that matter) and look at further definitions, you will find numerous references for each alluding to their superiority over the other. 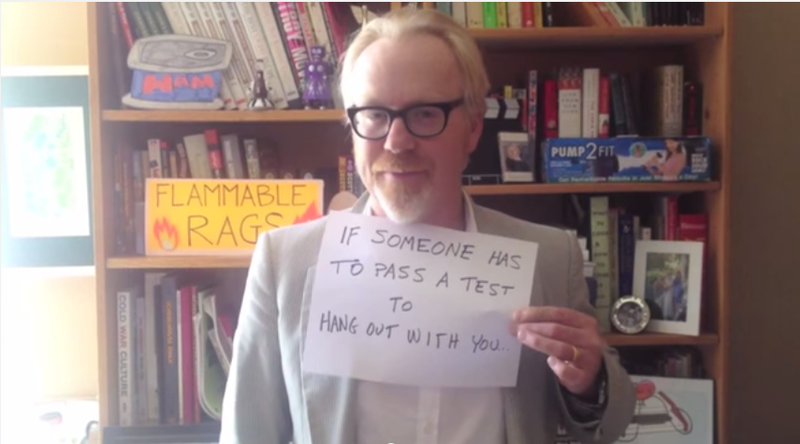 Geeks claim that nerds have no social skills, are essentially just smart losers. Nerds claim that geeks are wannabe nerds who aren’t smart enough. So on and so forth. It is an argument and a battle that will continue to rage as long as the internet and these terms exist. Despite the title of this article, I no longer desire to propagate this controversy. I recently had one of those “ah ha!” moments in which I realized that an attitude and opinion I had been fostering and festering was not only wrong, but poisonous. I am a geek, proudly proclaimed, this is and will always be true. However, I often have derided quite fiercely any attempt to label me as a nerd. Never did I want to be lumped in with those who LARP’d or played Magic the Gathering…. I was much better than that. I did martial arts, so any time I was in the park with a sword it was actual training. And my gaming was done properly with a computer. I could always find a fantastic justification to differentiate myself from those I wished to belittle in order to satisfy my ego. Specifically at 2:05, one of my personal heroes made an appearance. 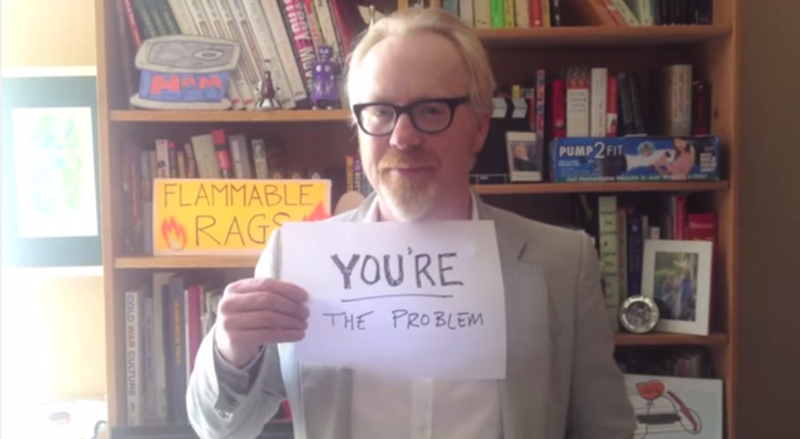 Adam Savage, of Mythbusters fame, popped in with a wonderful to-the-point message that struck home. It brings to mind this scene from The Big Bang Theory in which the smart guys gang up on Zack, a nice and friendly, albeit rather intellectually challenged guy that Penny brings over. 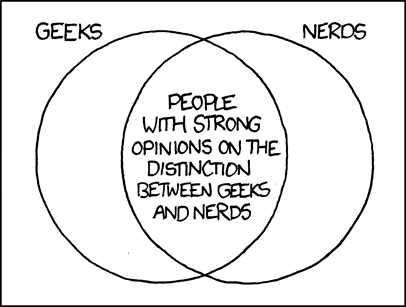 I hereby declare that I am a geek, but I am not offended by being called a nerd; for they are one and the same! Glad I’m not the only one who has been using the terms interchangeably. Although I do favor the term nerd, and I personally think that everyone has a subject (or multiple) that they geek/nerd out on. So really everyone is geek/nerd.